Today: high in lower 80s, low in low-60s. Details here. Today’s fire danger is low. Flagler County’s Drought Index is at 266. 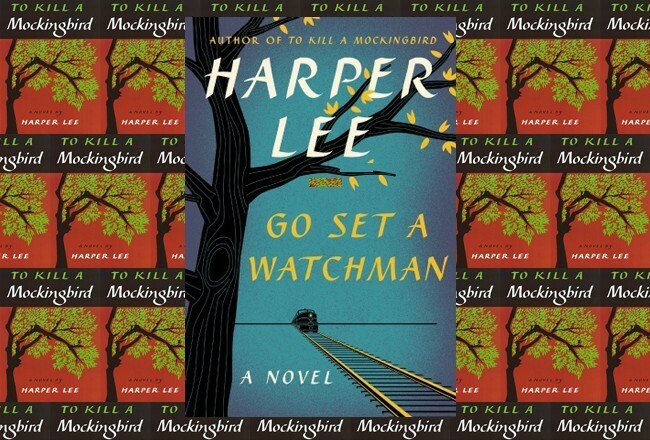 The OED’s Word of the Day: mirkning, n..
Friday: Harper Lee’s “Go Set a Watchman” and “To Kill a Mockingbird” will be the focus of discussion in a Friends of the Library seminar, open to all, at the Flagler County Library on Palm Coast Parkway at 2 p.m. Starting Friday: 14th Annual October Scare Haunted House to benefit Flagler Habitat, October 16, 17, 18 October 23, 24, 25 and 29, 30 – Friday, Saturday & Sunday, Friday, Saturday & Sunday & Friday, Saturday evenings, 6 to 9 p.m., Atlantis Industrial and Business Park, UNIT 80, 2323 N. State Street, Bunnell. Friday: Live at European Village’s Center Stage, Raychill Muller, 7 to 10 p.m.
Saturday: Live at European Village’s Center Stage, Category 5, 7 to 10 p.m.
All weekend: Cowart Ranch and Farms’s 4th Annual Maze Dayz, 5 to 10 p.m., 8185 W. Highway 100, Bunnell. All Weekend: Biketoberfest is taking place this weekend, mostly in Volusia County, but bikers will be present on Flagler roads and at Flagler businesses. Be cautious on the roads. Palm Coast Readies to Give Its City Attorneys a 15% Raise as Councilman Objects to Method: the city council’s discussion on the matter then veered to the method through which the city administration was bringing forth the raise, without examining outside firms or bidding out the contract. Council member Steven Nobile, who’s had various run-ins with City Manager Jim Landon and fellow council members, objected to the method, suggesting it lacked accountability. Landon then called it “obnoxious” and “offensive” to go through the sort of exercise that only reaffirms a relationship with an existing contractor, prompting more displeasure from Nobile. Palm Coast Joins Local Governments in Opposition to Utilities’ Proposed Cost-Shifting: Last year, utility companies lobbied the Legislature and got bills introduced that would shift the cost of moving utility poles to local governments in certain circumstances. Building Homes for Heroes presents home to De Leon family: the Building Homes for Heroes organization, a nine-year-old non-profit based in New York, gifted a home to a veteran’s family–the third such home gifted in Palm Coast this year–in a small ceremony Thursday in the B Section. Staff Sgt. Carlos De Leon “was wounded in Iraq by a mortar attack in 2007, was accompanied by his wife, Jellitza, and their two children” as they were welcomed into their new home on Biscay Lane, the Observer’s Anastasia Pagello reports. 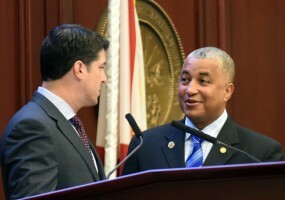 Daytona Beach Democrat Dwayne Taylor Announces Run for DeSantis Congressional Seat: The four-term member of the Florida House and a Daytona Beach Democrat, announced today his candidacy for the 6th Congressional District that includes all of Flagler County, a surprise announcement that gives the district its most politically seasoned Democrat in a generation: several Democrats have run for the different versions of the district that have included Flagler in the last 20 years, but none with the electoral background that Taylor brings. He was a Daytona Beach City Commission member before his election to the House. Unemployment numbers released: The Florida Department of Economic Opportunity is releases September unemployment figures at 10 a.m. Starting Oct. 16: 14th Annual October Scare Haunted House to benefit Flagler Habitat, October 16, 17, 18 October 23, 24, 25 and 29, 30 – Friday, Saturday & Sunday, Friday, Saturday & Sunday & Friday, Saturday evenings, 6 to 9 p.m., Atlantis Industrial and Business Park, UNIT 80, 2323 N. State Street, Bunnell. Oct. 17: The Bulow Parks Historic Alliance’s monthly Trail Maintenance Day, to prepare for the October 30 Candlelight Trail Walk. Workers are asked to meet at the Trail head at 9 a.m. wearing gloves, hats, appropriate clothing and carrying bug spray. Water will be provided.For information call 386-437-5338. Oct. 21: Sea Turtle Hospital Grand Opening at Whitney Laboratory 9505 Ocean Shore Blvd, St. Augustine, 10:30 a.m. -1:30 p.m.
Oct. 27: NAACP meeting, Jim Troiano of the Flagler County Sheriff’s Office will make a presentation on body cameras. Health Chairman Orjanette Bryant shared that Director Terri Belletto will discuss matters concerning the Flagler County Free Clinic. A question and answer session will follow each presentation. For further details, contact the NAACP at 386-446-7822. 6 p.m., at the African American Cultural Society, 4422 U.S. 1 North, Palm Coast. Bring batteries, paint, weed killer to Solid Waste Facility: Business has been brisk at the Flagler County Solid Waste Facility for the past two years. “The word is really getting out,” said Larry Williamson, who runs the site along with Kirk Vanschaick, a hazardous household waste technician. “We’ve already collected more than 20,000 pounds of electronic waste this year, and that’s not even including batteries.” The facility accepts used motor oil, antifreeze, lead-acid and rechargeable batteries, paints, weed killers, thinners and solvents, pool chemicals, fluorescent bulbs, gasoline and tires. It is also a recycle drop-off center, though recyclables are collected curbside. In past years, more than 2,500 gallons of used oil was collected, as well as four 55-gallon barrels of coolant and two 55-gallon barrels of oil filters. Additionally, some 42,605 pounds of recovered paints, solvents, pesticides and mercury-containing devices like compact florescent light bulbs. If drop-off rates stay on course, 2015 will be a record-breaker. “Participation has been great,” Williamson said. “More and more people are aware we are here.” The number of propane tanks brought to the facility has increased eightfold. “Everyone got worried about having them laying around after the explosion at Blue Rhino (Eustis),” Williamson said. “I have about 300 of them stockpiled right now.” The household hazardous waste collection center is open from 7 a.m. to 3:30 p.m. Monday through Friday at the closed landfill located at 1700 S. Old Kings Road, Flagler Beach. For more information, call 386-517-2075. Palm Coast Parkway Six-Laning is 94 percent done: Contractor has placed the new 6″ reuse main into service and has prepared the old line to grout filled. Work in median continues and landscape along project continues. Holland Park, 33 percent done: The old sewer system has been removed. Dewatering of wetland area continues. 75% of roadway thru wetland has been excavated and is being backfilled. Extended water line around pavilion 3. Palm Coast City Hall at Town Center, 94 percent done: Contractor has placed concrete around valve collars and identifying tabs. Wire testing has been completed. Carpet and Tile in (Phase 1) of the project is 95% complete. Furniture installation in Phase 1 first floor 80% complete. Palm Harbor Parkway Roadway Extension, 26 percent done: De-mucking continues thru wet areas for new roadway. North Old Kings Road Extension to Matanzas Woods Parkway: City did not update. Island Walk Shopping Center Phase 1, 93 percent done: Water mains behind the Island Doctor and Bealls have been chlorinated for 2nd day bacteriological samples. Old Kings Road Force Main – Master Pump Station, 33 percent done:: All but 1 directional drill has been installed and 9,000 ft. of direct bury pipe has been installed. Grand Haven Sales Center on Colbert Lane, 36 percent done: Site stormwater has been installed and a construction trailer is on site. Volusia: I-4 Widening from SR 44 to east of I-95, Monday and Friday, 7:00 a.m. – 5:00 p.m., Eastbound/Westbound shoulder closing. 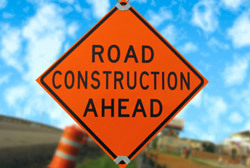 Sunday through Thursday, Eastbound and Westbound lane closures as needed from 8 p.m. to 6 a.m. Thursday, 9:00 p.m. – 5:30 a.m. EB road closure between Canal St./SR 44 and I-95 with detour at US 92 exit ramp.Motorists should be aware of traffic shifts near Canal St./SR 44.